All you men out there. Yes, you. You. Scrolling quickly through the articles. Have you got something for Valentines day yet? Ladies, would you rather take control than be disappointed? 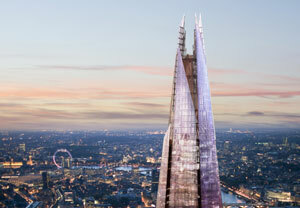 This unforgettable day out will include The View from The Shard – a unique experience allowing you to travel up Europe’s tallest building and take in breath taking panoramic views of the London skyline that can stretch over 40 miles. It even includes a delicious two-course meal with Prosecco at the Michelin Bib Gourmand awarded Del Mercato, set in the buzzing Borough Market. Now I have been wanting to go to the Shard ever since it has existed, and I still haven’t made it yet. Whether you want to enjoy the skyline, or just go pretend to be the eye of Mordor, this is a great deal! 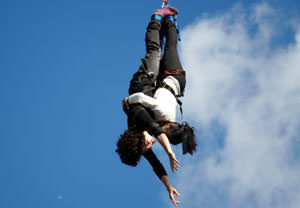 What better way to celebrate Valentine’s Day, than with a truly romantic 160ft bungee jump?! The perfect treat for thrill seeking couples, with 7 locations to choose from across the UK. Once you have reached the bottom, you will both be presented with Champagne to calm your nerves and toast your bravery! More for the adventurous types among you though. I have a fear of heights, so will probably be avoiding this! Take in breath-taking views of London’s iconic skyline from the tallest, cantilevered observation wheel in the world and enjoy a succulent two-course meal with Prosecco for two. On the banks of the River Thames, opposite the Houses of Parliament and Big Ben, the EDF Energy London Eye peacefully rotates, offering guests the chance to see London from above. Take a scenic walk along the River Thames towards the bustling Borough Market and pay a visit to Del Mercato which has been awarded the Michelin Bib Gourmand for its food. This one is definitely my favourite of the lot. 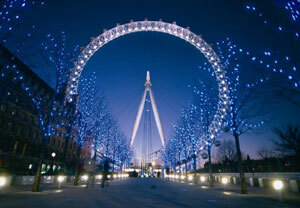 Be it day or night, this marvel that is the London Eye is well placed for one of the best skylines in the world. Add to that some Michelin Star dining and you are on to a winner! With this superior package, you will both enjoy a Swedish back and neck massage, a Germaine de Capuccini facial, and your choice of a pedicure or a manicure, as well as a delicious lunch between treatments. 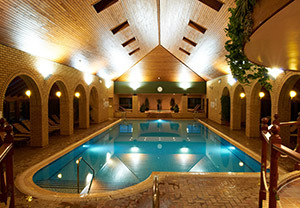 You can choose from three exclusive locations in the Clarice Spa group, each one a unique property set in secluded parkland and includes a spa bath, pool, and sauna. Now you may think this one is one for the ladies, but hey, I love a bit of pampering myself. Guys, go for this! You will not regret it. This breath taking tour of London combines the big landmarks and numerous filming locations from popular romantic comedies. If you’ve been hunting some romance in the capital city, you’ll find it here – take a photo in front of the Notting Hill blue door, the street where Bridget Jones lived in Southwark, and many more crucial filming locations from films such as Atonement, Wimbledon and Sliding Doors. You’ll also see London’s lesser-known gems, including the oldest parish church. Definitely a treat for lovers of film. Who doesn’t like a bit of cheese and rom-com! Previous story What will you do with an Apple Watch?